If you ask most Americans what they think about the FBI, they would tell you it’s far and away the government agency they trust the most. The Bureau has, for decades, sold an image of itself as efficient, professional, unbiased, and untouchable by corruption. That portrait is a sham. 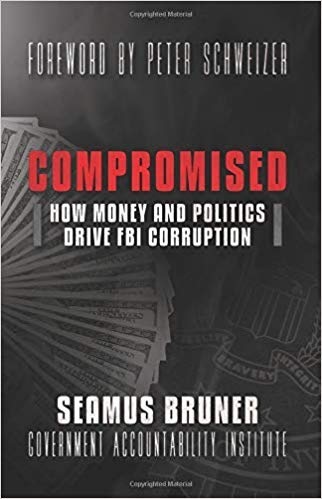 Seamus Bruner and the Government Accountability Institute have spent years cataloging the widespread conflict-of-interests of the D.C. political class. They have found massive self-enrichment and political bias at the highest levels of government—including the Justice Department and the FBI. Indeed, the nation's most important law enforcement agency has become so compromised that every major investigation should face intense scrutiny from the public, the media, and from Congress. James Comey, Robert Mueller, Andrew McCabe, and the rest of the recent FBI leadership should be forced to answer for the way the Bureau has abused the public trust under their watch.